What is the best time of year to buy a house? Anytime, really. But spring, especially, is a great time to buy a home. The weather is warming, the grass is greening, the birds are chirping, and people everywhere are thinking of going outdoors and enjoying their homes — or finding new homes! Homes pop up for sale in the springtime like blossoms emerging on the trees. In fact, spring is probably the busiest time of the year in the real estate business. For good reason. Get a jump start on the spring buying season with Mortgage One’s “Mortgage in a SNAP” app. It’s not just the bird and the bees that are busy in the spring. Home sellers are, too. Buyers must be ready to act in the spring. Data shows that the highest month for home-for-sale inventories is May, followed by April and June. Of all the times of the year, home inventories are usually the biggest in the spring and summer. Families with kids put their homes on the market because foot traffic is heavy and because they themselves want to move into their new homes by Labor Day, ahead of the start of school. Even buyers without children like to get into new homes in the summer so they have time to spruce them up, plant landscaping, and do all the other things to make a house their home. March and April are good times to buy to get ahead of the summertime glut. Some real estate agents say that June is the worst time to shop for a home. Although listings are plentiful in June, prices start going off the charts, and competition is significantly higher in June and July. That’s what makes spring a great time to buy. To stay ahead of the crowd, it’s worth having a game plan for spring home shopping. Here are some tips. To buy a home in March, April or May, you’ll have to be ready to jump on the home you want. Don’t be indecisive. When you find the home you like, make an offer. Get preapproved. Preapproval shows the seller that you are ready to act. It also gives you the confidence to make an offer when you find what you like. When it comes to home buying, preapproval is like a stamp of approval. The Mortgage 1 SNAP App makes preapproval easy. Keep your eyes on the prize. This piece of advice means, dont’ get distracted by whether a house is a foreclosure, a short sale or how it is decorated. Focus on the real estate mantra: location, location, location. Also go with your heart. You’ll know when you a home is right for you. Don’t be impulsive, of course, but don’t be afraid to act. Hire a Local Agent. Real estate is local. Local real estate agents know the market. They’ve seen thousands of homes. They match buyers with properties on a daily basis. A good agent will steer you clear of places to avoid, while also matching you with homes that fit your style and budget. Agents also know other agents, so they get the inside scoop on new homes coming on the market that the average layperson cannot know about. Know your budget, but don’t be afraid to spend. Some buyers focus on how much the seller is asking instead of on how much the home is worth. Ask your agent to show you a CMA of comparable sales to determine actual value. You can’t compare values by other homes on the market because sellers can ask whatever they want. If you are getting the home you want at a price you can afford, whether you pay $1,000 more or less makes no difference in the overall scheme of things. You won’t care in 5 years. Doing anything for the first time is hard. Buying a first home is no different. But with the right preparation and the right team around you — from your loan officer to your real estate agent to your family, friends and support system — buying a home in the spring means you will be resting easy come summer time and, possibly, for a lifetime! Want to get a head start in spring home buying? Use the Mortgage in a SNAP to get the ball rolling. Are You Searching for a New Home Without Getting Pre-Qualified? 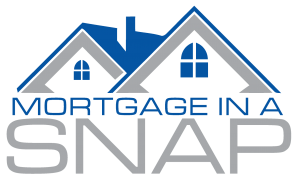 Making the Mortgage Process Easy with Mortgage in a SNAP! Your actual rate, payment, and costs could be higher. 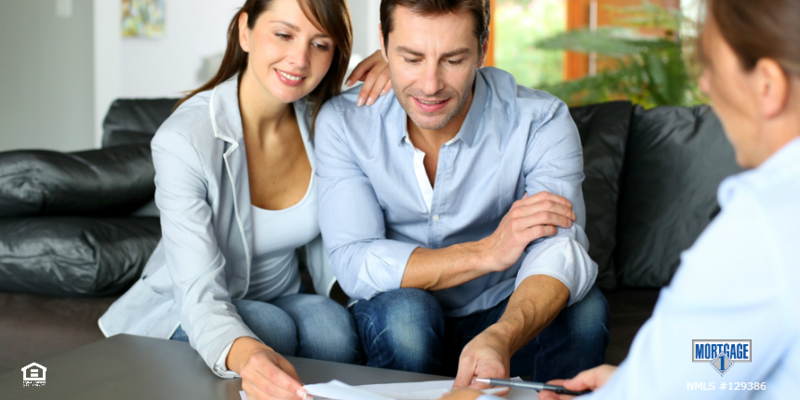 Get an official Loan Estimate before choosing a loan. Rates shown are based on a credit score of 740. We're here to help. Contact a home mortgage consultant to learn more.